China Kunqu Opera Museum is located at Quanjin Guild, Lane Zhangjia, Pingjiang Road, Gucheng District, Suzhou, Jiangsu Province, which is also the cradle of Kunqu opera. 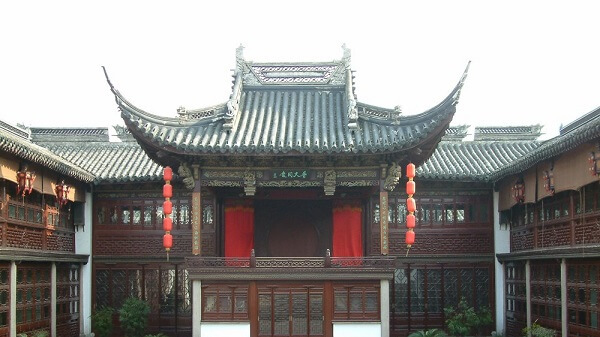 Quanjin Guild, or the so-called Quanjin huiguan, was recognized as one of the important heritage sites under state protection since 2006, where the most elegant ancient stage among Suzhou lies. The ancient stage is under an elegant structure, and has gained great acclaim from Ieoh Ming Pei. It is one of the main sites for cultural relics exhibition and performances. The backstage has restored the original arrangement of the ancient backstage of Kunqu opera with reference to Yangzhou Gaily-painted Pleasure-boat Collection. The opera hall is the main site for Kunqu opera performances in the museum. The auditorium restores Ming-style hall arrangement and furniture, horizontal inscribed boards, couplets and the red carpet, demonstrating the performance form with red carpet in Ming Dynasty. 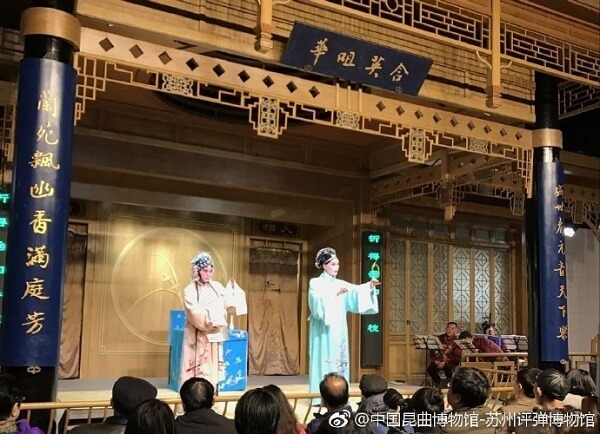 On both sides of the indoor stage, there is an exhibition of Kunqu opera costumes (including attires, helmets, artificial whiskers, masks, facial make-ups and other stage property). The indoor opera hall is filled with attracting stage atmosphere. 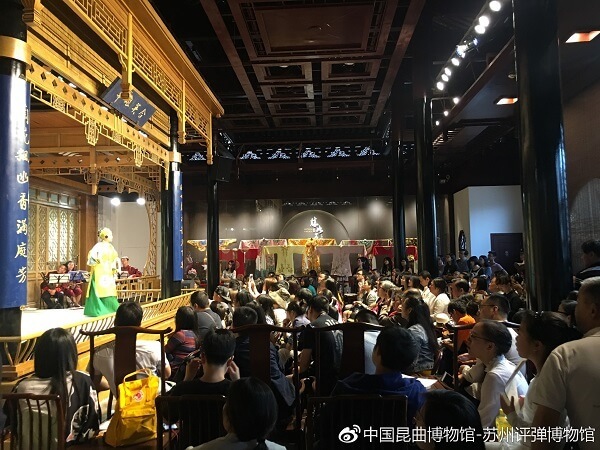 The exhibition hall follows the history as the longitudinal axis, with figures, productions and events as the horizontal axis, fully demonstrating the development of Kunqu opera. The treasure of the museum’s collection, the inscribed rosewood board “Baohe Hall” with names of the artists in the late Qing Dynasty and the early republican period, is also displayed here. Some well-known artists still often perform here, which has greatly contributed to performances known as the “living fossils”. 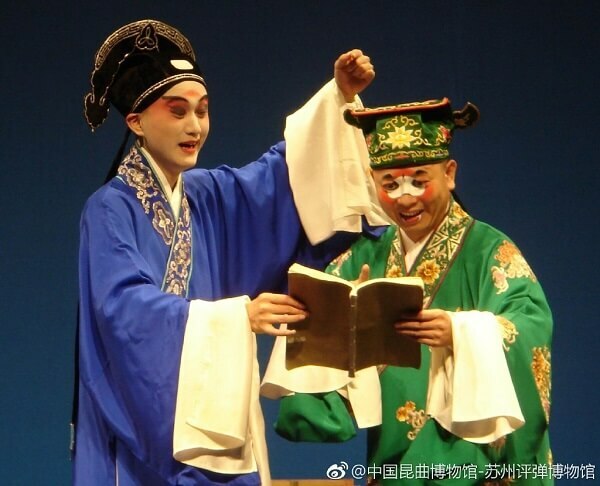 China Kunqu Opera Museum owns a large volume of acting editions of Kunqu opera, including wood engraving, lithographic printing, manuscripts, and hundreds of manuscripts of Kunqu opera artists, of which amount ranks the first in the country. 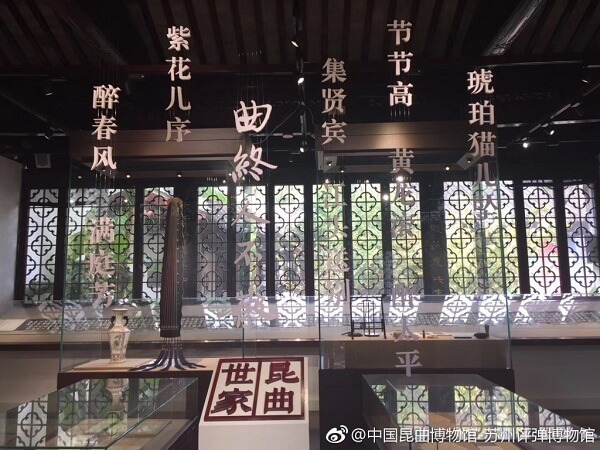 Arranged as a Ming-style study in the northwest corner of the museum, the exhibition hall displays precious acting editions through which introduce well-known writers in the history of Kunqu opera.